One of a special collection of pieced quilts made from Beacon blankets that I just posted, this example is the earliest. 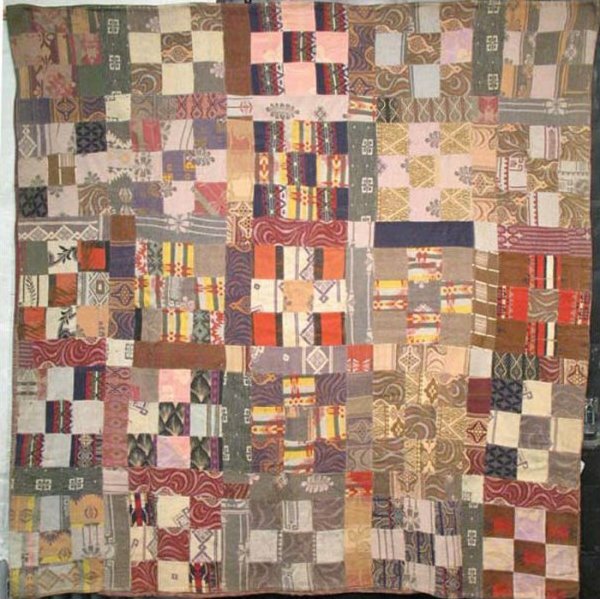 The tones are woodlandly and natural, and the pieced Nine Patch blocks are separated with narrow bands of sashing. These fabrics may have come from recycled blankets rather than swatch book rectangles.